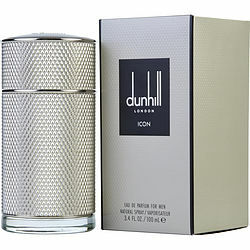 For a scent that portrays a masculine, sophisticated style, wear Dunhill Icon by Alfred Dunhill. Created for men and released in 2015, this aromatic and woody fragrance features a fresh blend of bergamot and neroli top notes, moves to heart notes of spicy black pepper and lavender and closes with base notes including smoky oud. Reflecting the posture of a gentleman, this scent offers old world refinement while complementing your modern outlook. Show confidence and control without stuffiness every time you wear this fragrance. Absolutely love it, it’s long lasting an the projection is great. Wow! I did not know what to expect from this fragrance. I did a blind buy which is usually a no-no. The reviews on Dunhil Iconic were really good so I gave it a shot. It’s very masculine, mature and modern. This will end up being my signature scent. I will definitely buy this again. Bought this on a blind buy after watching several positive reviews. Although the scent was very different to what I imagined, it was a great purchase. Very different scent for me, but wow, so classy. I'd def buy it gain and may even pick up a back up bottle as I see me wearing this a lot for work. Fresh citrus and lasting power great scent!! Dunhill Icon develops slowly, starting with light citrus . The citrus melds into a muted grapefruit. Not much more to be said. You will be inoffensive if you wear this in close company. The scent's sillage is minimal and projection nearly non-existent. You will not be a standout for wearing Icon, unless you carry with you the beautiful cutglass flask it's in for all to admire.